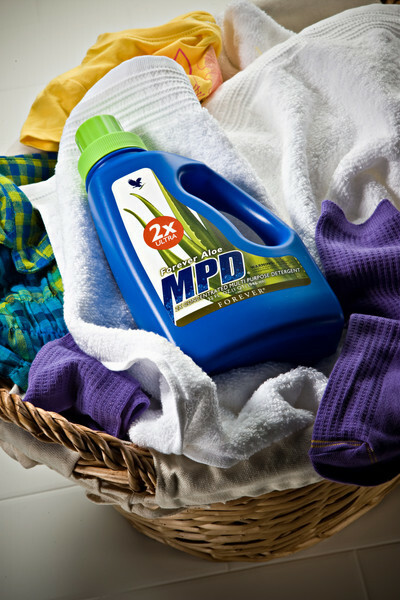 ​A versatile cleaning product that is ideal for laundry (all types of clothes), it is also a household cleaner for floors, bathrooms, tile and carpet cleaning, and for hand-washing dishes. This safe, concentrated, liquid detergent is great for lifting grime, cutting through grease and removing stains without scratching or marking any surfaces. It is versatile enough to do the job of many similar products on the market, with a major cost savings for the user. Price per bottle - 32 fl. oz. 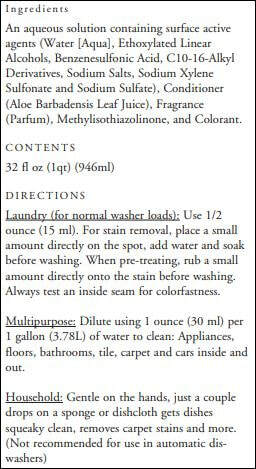 Laundry (for normal washer (loads): Use 1/2 ounce (15 ml). For stain removal, place a small amount directly on the spot, add water and soak before washing. When pre-treating, rub a small amount directly onto the stain before washing. Always test an inside seam for colorfastness. Multipurpose: Dilute using 1 ounce (30 ml) per 1 gallon (3.78L) of water to clean: Appliances, floors, bathrooms, tile, carpet and cars inside and out. ​Lessive: Pour des charges de lessiveuses normales: Utiliser ½ once (15 mL). Pour enlever les taches, mettre une petite quantité sur la tache, ajouter de l’eau et faire tremper avant de laver. Pour prétraiter, frotter une légère quantité sur la tache avant de laver. Vérifier la solidité des couleurs en faisant un test sur une couture intérieure. Price per bottle - 16 oz. This easy-to-apply spray is ideal for soothing irritations, cleansing areas before applying dressings or to achieve a glossy and conditioned coat after bathing. The gentle Aloe Veterinary Formula can be diluted to cleanse irritated eyes or to clean dirty ears. It can also be used as a soothing leg wash to provide protection after exercise. N.B. For pets and horses. Cleanse affected area, apply Aloe Veterinary Formula and bandage if necessary. For optimum results apply several times daily or as recommended by your veterinary surgeon. ​This multi-purpose formulated spray – with aloe vera and bee propolis – helps soothe and protect skin and hair from the damaging effects of sun exposure, chlorine and minor skin irritations. This product is also an effective after-sun moisturising spray. ​Enriched with soothing aloe and nourishing honey, one squirt of this handy disinfectant can kill 99.9% of germs and bacteria. 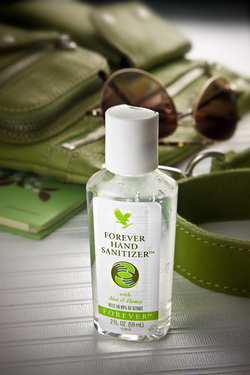 With a refreshing scent of lemon and lavender, Forever Hand Sanitizer softens and moisturises hands as it cleans. A must-have for your pocket and bag. ​A rich, creamy blend of aloe vera, bee propolis and camomile that helps maintain healthy, beautiful skin tone and texture. 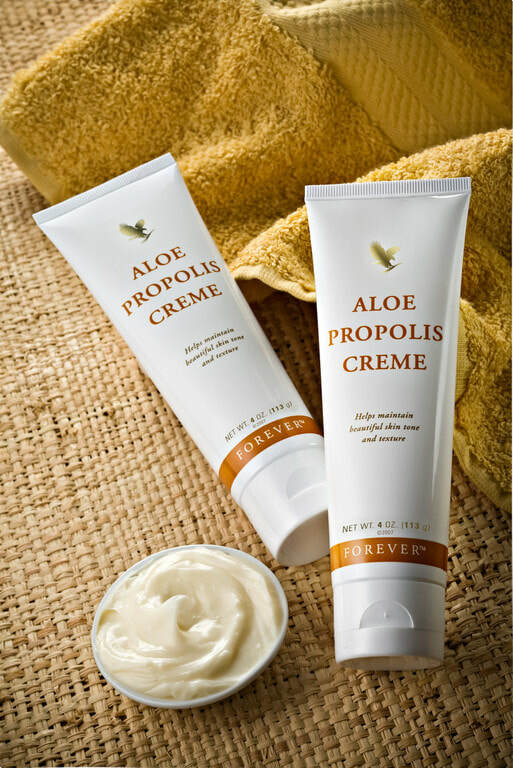 The Aloe Propolis Creme’s moisturising and conditioning properties make for an excellent everyday moisturiser and helps to soothe irritation. N.B. Suitable for people prone to dry skin conditions. Contains lanolin. 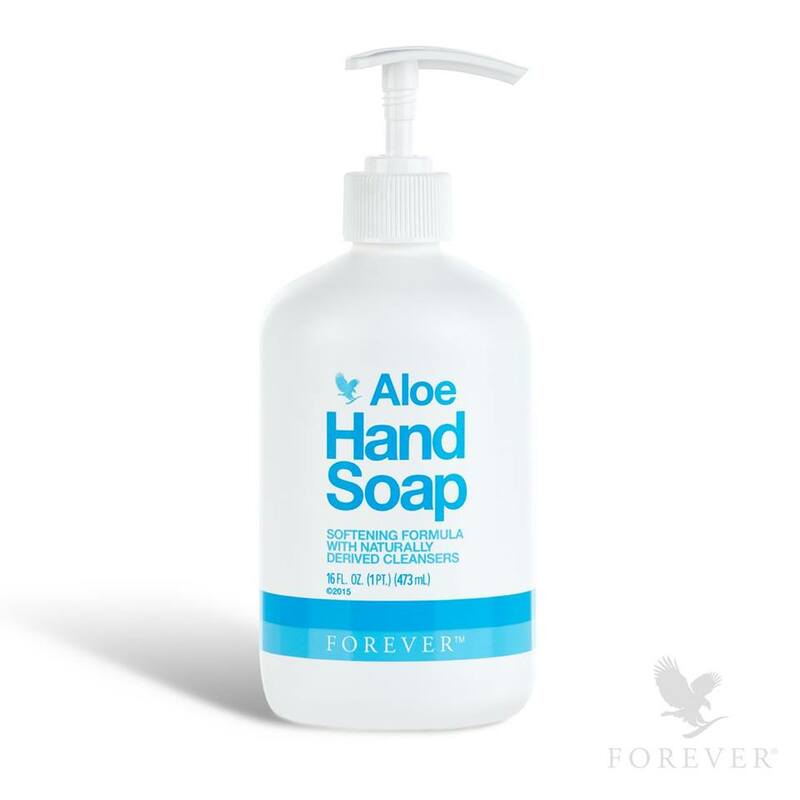 New and improved, Aloe Hand Soap provides a soothing experience with each use. Formulated from pure 100% stabilised aloe vera gel and natural cleansers, this gentle formula with fruit extracts leaves your skin feeling soft and hydrated. ​​​The statements contained herein have not been evaluated by the FDA. The products discussed are not intended to diagnose, mitigate, treat, cure or prevent a specific disease or class of diseases. You should consult your family physician if you are experiencing a medical problem.